Little by little, the flagship smartphone concoction Global HMD alleged Nokia 9 increasingly revealed. Previous leaks, this smartphone will be equipped with Qualcomm’s Snapdragon chipset 835, combined with the RAM capacity of 4 GB or 8 GB. The latest leaks, a smartphone that has a serial number TA-1004 have already appeared on the site FCC certification. Mentioned, allegedly smartphone Nokia 9 will be equipped with Bluetooth 4.2 and NFC technology. Not only that, the HMD Global will also be endowed with 4G-LTE network, GSM, and WCDMA. 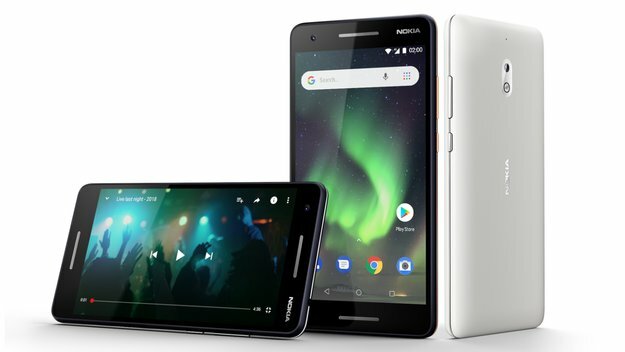 With the advent of smartphones are still suspected as Nokia 9 at the FCC, it indicates that the HMD Global has plans for the smartphone market in the US market that were previously not prioritized in Nokia 6, 5, and 3. Not only carries the hardware specs are qualified, Global HMD will reportedly pack the Nokia 9 with a 5.3-inch screen has a resolution of 2,560 x 1,440 pixels. Another attraction, this smartphone will come with support for dual-camera 13 MP. Unfortunately, the ability to dual-camera embedded into the smartphone is also not revealed yet deeper, does have the ability bokeh, wide-angle, or zoom. Certainly, the presence of this smartphone worth waiting by you all are infatuated with gadgets premium class. Previous post Samsung Galaxy A7 Android 7.0 Legacy goto Nougat?